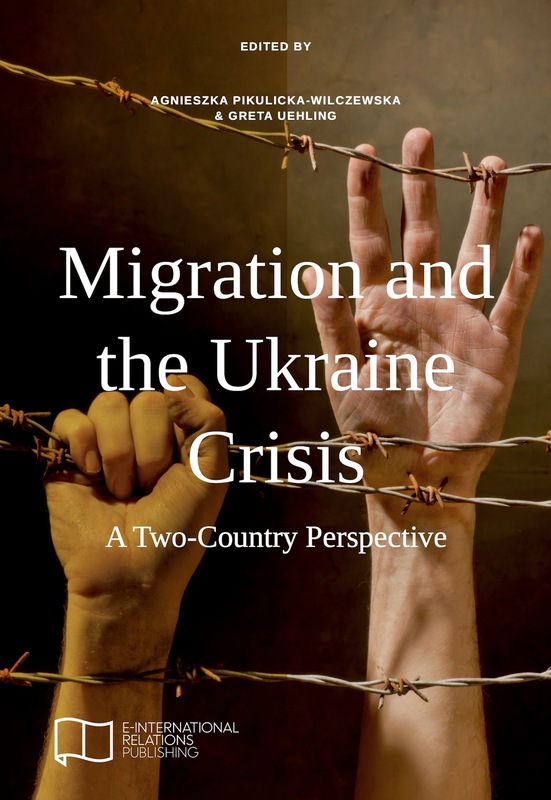 Published in: Migration and the Ukraine Crisis: A Two-Country Perspective. E-IR Edited Collection. This article addresses the formation of the myth of a ‘dangerous migrant’ through politics’ and mass-media constriction of migrants’ image as connected with crime, disease and illegal work. The restrictions of migration legislation bring a lot of complications and contribute to the ambiguous position of migrants in the society. One of the main problems facing migrants in Russian society is racism and xenophobia, which often enjoy the support of the state and mass-media. Due to the armed conflict in Eastern Ukraine which began in April 2014, almost a million people have sought refuge in Russia, which according to the UN, is the ninth largest displaced group in the world. The chapter discusses the existing regulations and the main issues facing the refugees. This paper is based on several years of the author’s research on migration in Russia, including her Open Society Institute funded project ‘The everyday lives of Central Asian migrants in Moscow and Kazan in the context of Russia’s Migration 2025 Concept: from legislation to practice’, during which she conducted about 300 in-depth interviews (with Dr. John Round) between 2013 and 2015; the 2012-2014 Russian Foundation for Humanities funded project titled ‘Social integration of migrants in a context of social security’ (with Prof. Laissan Mucharyamova), with a survey of 297 migrants, in-depth interviews with migrants and experts and discourse analysis; and the ongoing 2016-2017 British Academy Small Grant funded project titled ‘Asylum seekers from Eastern Ukraine in Russia: identities, policies and discourse in the context of forced migration from the Ukraine conflict’. Migration and the Ukraine Crisis: A Two-Country Perspective – an E-IR Edited Collection. Edited by Agnieszka Pikulicka-Wilczewska & Greta Uehling. Contributors: Tania Bulakh, Mikhail Denisenko, Joanna Fomina, Michael Gentile, Kateryna Ivashchenko-Stadnik, Marina A. Kingsbury, Irina Kuznetsova, Viacheslav Morozov, Vladimir Mukomel, Olga Oleinikova and Caress Schenk. Since the Russian annexation of Crimea in 2014 and the beginning of the war in Donbas, Eastern Europe has been facing a migration crisis. Several million Ukrainians are internally displaced or have fled the country and now face an uncertain future. At the same time, Western-imposed sanctions and the creation of the Eurasian Economic Union have affected Russia’s migration policies. These largely ignored processes have a potential to change the social landscape of the region for many years to come. The aim of this collection is to shed light on the forgotten migrant crisis at the European Union’s doorstep and make sense of the various migration processes in and out of Ukraine and Russia. The book is divided into two sections. The first section deals with migration processes that have taken place within Ukraine or have involved Ukrainian citizens’ migration out of the country, excluding Russia. The second section discusses Russia’s response to the rapid inflow of migrants from Ukraine, its changing migration policies and their effect on migrants, as well as other processes related to the phenomenon over the course of the Ukraine crisis.